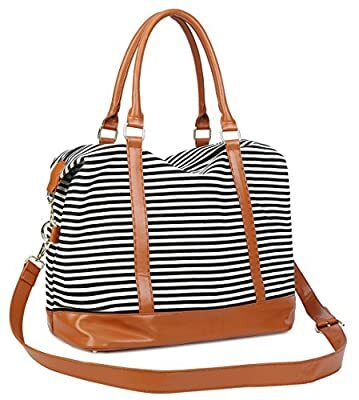 The women travel tote bag is made of durable and soft canvas, 100% Cotton lining, quality smooth heavy-duty dual brass zippers, comfortable and durable. 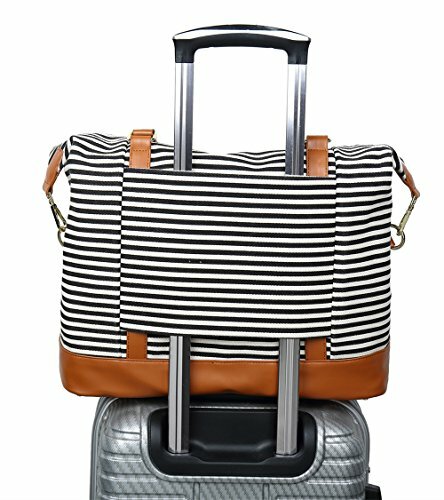 Solid copper hardware for our weekender bag, will not gather rust easily. Dimensions: 16.2"(L) x 14.5(H) x 8"(W). 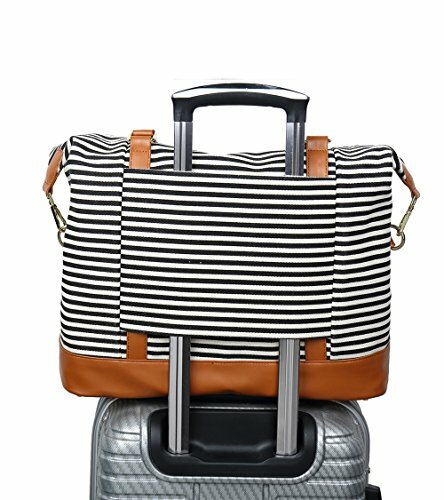 Roomy Capacity, can be used as carry on tote bag. 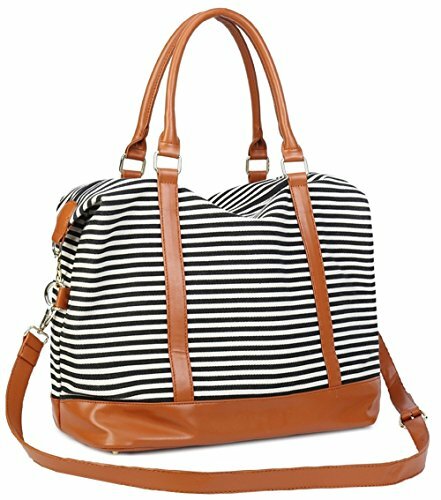 CAMTOP ladies duffel bag comes with a adjustable PU Leather shoulder strap. 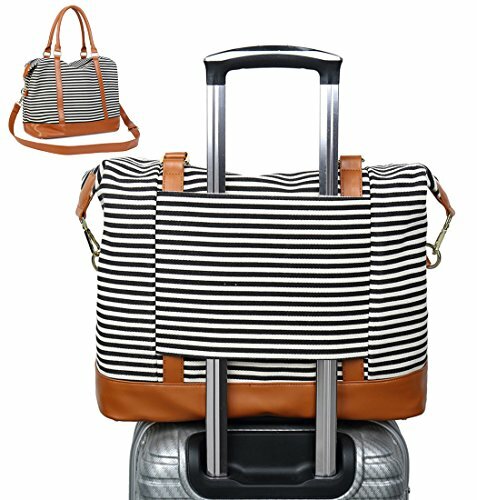 Multi-purpose: Used as overnight travel bag, weekend bag, weekender travel duffels, hospital bag, great choice for overnight or weekend trip, two-days business travel, short journey or daily use.